In a culture where adults are sometimes divided by our opinions at the holiday table, it is important to consider how children might interpret these opinions and respond to explicit or implicit differences of opinions and tensions. Thanksgiving gives us all a chance to work on grace and courtesy in times when politics and opinions may become hostile. Founder of Montessori education, Maria Montessori, put an emphasis on practicing gratitude and thankfulness. She considered these to be key concepts in grace and courtesy in Montessori education. Practicing grace and courtesy at the dinner table can include getting children involved in preparing the table, creating a centerpiece, or helping with a portion of the meal. The Living Montessori Now blog has a number of tips for Grace and Courtesy Games at Home or School. This resource also provides helpful tips for basic table manners before any holiday meal: How to Teach Your Child Table Manners for Holiday Gatherings. In addition to manners and participation, it is important for children to understand the historical interpretations of holidays like Thanksgiving. In fact, Thanksgiving often overlooks some key historical events. 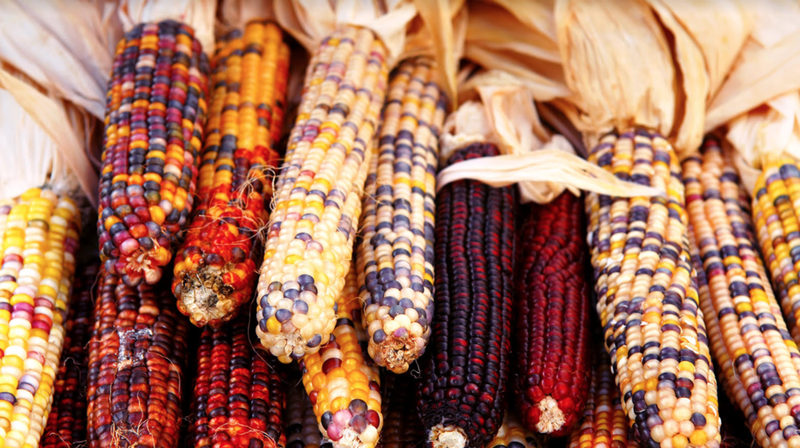 Today's celebration of Thanksgiving often romanticizes and misrepresents our history. While the notion of a people stepping forward and helping others in need is something to cherish and reflect in our own celebrations, the historical meal has romanticized a complex and violent past where the denigration and violence against an entire people was legitimized and legalized. To bravely face our shared history allows for increased space in our hearts and community to create a community of understanding, respect, and diversity - all of which are explicit aspirations of our Mountain Pathway's Vision. A Mountain Pathways community parent, Rachel McKinney, has a personal interest in understanding this rich, complex, and emotionally challenging history - her family has direct links to two of the tribes recognized by North Carolina. Recently, in preparation for an Indigenous Day celebration, she came across a recent survey of school-aged kids in the US which indicates more than 50 percent of children actually think Native Americans became "extinct" generations ago. Watauga County and the greater High Country have an incredibly interesting and important place in both the American Revolution/American Independence and the removal and genocide of the country's first inhabitants-first through the procurement of the land from Native Americans and eventually the infamous Trail of Tears. Want to know more? Check out this, this and this webpage. This concerns McKinney and others because an understanding of what we have come from and are heading to can impact the way we function as a community in the future. History is not dead - in many ways, the actions of those who came before us are still playing out from the halls of the highest government offices to the polling places on reservations. We have opportunities every day to embrace the "others", to build relationships with those different than ourselves, and to challenge ourselves to not only be gracious and courteous in our manners and speech but in our actions. November is Native American month. Music is universal. Celebrate by learning more about their music - you can find anything from traditional drumming and flutes to protest folk songs to rap and everything in between. Much of the more traditional music using more traditional instruments is great music to put on during dinner or meditation or even to sooth little ones to sleep. Did you know there is a Cherokee language rendition of Amazing Grace? The history is linked to the Trail of Tears and would be a great place to start a conversation with pre-teens. There are a number of wonderful music collections on Smithsonian's Folkways website Smithsonian Folkways that explore everything from older recordings of traditional music to protest songs of the 60's and 70's and more current music from children's choirs, etc. There are new comic books with Native American heroes you may want to check out. Jump on the American Indians in Children's Literature blog for a list of best books by year or www.nativerealities.com and find the comic book section. Acknowledging continued existence of a people, appreciating historic and current arts and literature, and delving into current topics highlighted through arts and literature are wonderful ways to explore at the right level and pace for your child. For older kids and ourselves, I think it is important to ask ourselves what do we need to understand and know? From our place of privilege, what can and should we do with that understanding and knowledge? Some of us may tackle things more head on while others may spend time holding issues to our hearts before determining how to move forward. Approaching Thanksgiving with appreciation and gratitude for the people in our lives and the resources we have can be made richer and deeper with a continued exploration of our history, an acknowledgement of how that history continues to manifest itself in today's world, and reflections on the roles each of us plays in breathing life into our shared MPS Vision. This Halloween and Harvest season think about ways to incorporate the Montessori life into your celebrations with fun explorations of a variety of Autumn elements and activities. 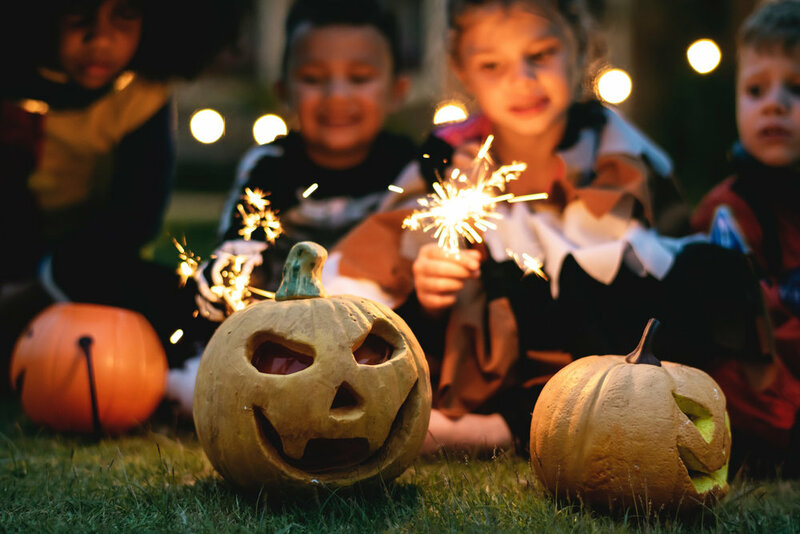 Some Montessori schools are conflicted about celebrating Halloween because of the prevalence of violent costumes, but families can be encouraged that Fall and Halloween can be very hands on times for learning and engaging in creativity around the community. Halloween has roots in both Celtic and Christian traditions, and the apple and pumpkin are symbols used to celebrate in many harvest traditions. Incorporating discussions about how we use apples for different harvest treats, and observing the life cycle of pumpkins and other gourds can provide great conversations for learning. The Montessori for Everyone website has a beautiful matching card activity to examine closely the life cycle of pumpkins. While trick-or-treating for candy may be something a little too sweet for your liking, UNICEF and other organizations are encouraging families to trick or treat for charity. Our local Hospitality House encourages people to collect canned goods when they trick-or-treat at the BooneBoo! and Trick or Treat for Tots (at Appalachian State University) events. Encouraging children to build costumes from natural or found items (ie. a scare crow made from clothing, hay and corn husks, or using old graduation robes to dress as a member of the Harry Potter world) are just one way to encourage learning and exploration. We trick-or-treat only at houses with the porch light on. Houses with the lights off are telling us they would prefer not to have trick-or-treaters. We walk on sidewalks or stepping stones only, staying off of grass, rocks and flowerbeds. Once we’re at the front door, knock or ring the doorbell once (I personally prefer knocking first, then one doorbell ring if they don’t hear the knock). Now wait patiently, a few steps away from the door. Do not look in the windows. If no one answers the door, move on to the next house. Do not keep knocking and ringing the doorbell. If someone answers, smile and say “Trick or Treat!” Stay on the porch, do not peek in the house and do not walk into the house. If the person holds out a bowl of candy, take only one piece of candy unless you are invited to take more. I always say “thank you” when I’m given a treat. If I don’t like this kind of candy, I still say “thank you” and will not tell them that I don’t like it. I can always trade for a different kind of candy when I get home. It’s kind to say “Happy Halloween” before leaving. Need some additional ideas for your own Halloween activities at home you can visit this Pinterest board with Montessori-inspired crafts and activities as well.